During a trip to Washington D.C. in 2017, granddaughter Jahniya purchased a silver necklace from the International Spy Museum gift shop. The necklace is the word “strength” in Morse Code with round beads for the dots and longer tube beads for the dashes. When she showed me the necklace, I saw the dots and dashes as stabs and long tones and began wondering about soundscapes with words and phrases spelled out in Morse Code. This idea is a perfect companion to TRIC Questions, and my interest in using overlapping “predeterminded” sound articulation patterns in music. Morse Code is also a way to imbed words into soundscapes. People seem to prefer music with words. We like a story, an image and the sound of the human voice. For me, the singer and the words hijack a large percent of the ear brain in any listening situation. That is why I prefer my music sans words – let the instruments convey the narrative. Since 70% of meaning is derived from the non-verbal components of speech, including cadence and tonality, then music should be capable of conveying information/meaning quite effectively. Morse Code brings a verbal aspect into the soundscape without words taking over the show. This will be my idiosyncratic metric template. The time signature is open and based on units: 1 unit = 1 beat = the length of a dot. The measures can be laid out in the number of units it takes to complete the word or phrase in Morse Code with the 7 unit break between iterations of the word. Feeling sure that modern composers have explored this idea already, I googled “Morse Code music”. What I found were instances of Morse Code used as drum patterns. 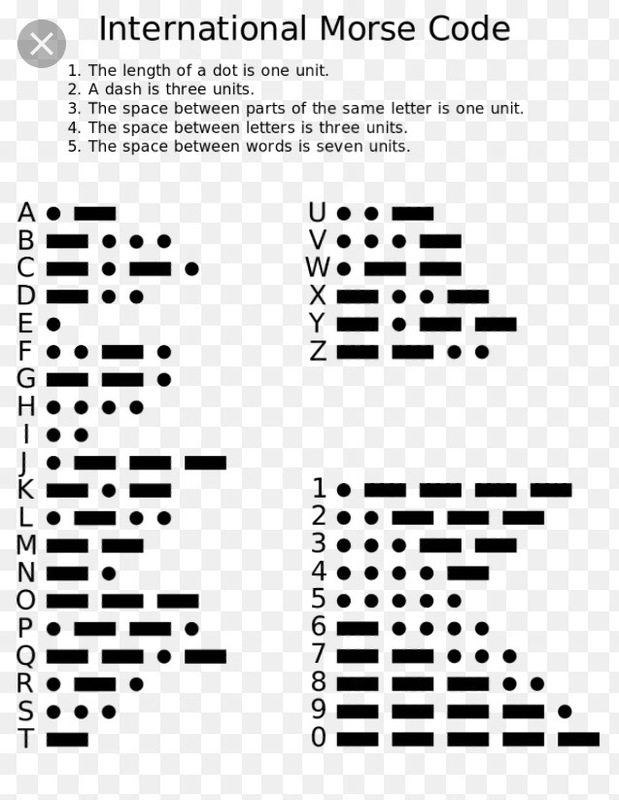 The code was always tied to a time signature, so the actual prescribed template for Morse Code is not what is heard. Plugging these patterns into Ableton voices means that the exact Morse Code template is played and preserved in time. This rhythmically offsets the clips, since they are different lengths. I have played with this idea for over a year using different words like love and joy, or om shanti. I did an iteration of “peace” over and over for International Peace Day 2017. If you are in Wake Forest close to Joyner Park tomorrow, please come to the Wake Forest Dance Festival. There is an open tech rehearsal in the morning, movement around the park in the afternoon and the dance performances will be from 5-6:30. As always, I appreciate your support!